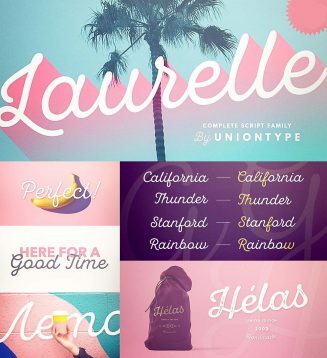 Laurelle is a polished and smooth script family. The family consists of light, regular, bold and press styles. Laurelle provides advanced typographical support with contextual alternates, final forms, ligatures and swashes. This font also includes Cyrillic, with all OpenType features. Tags: cyrillic, cyrillic script, display font, elegant logo, ligature, light, press, script family, style, swash, typography, wedding font.